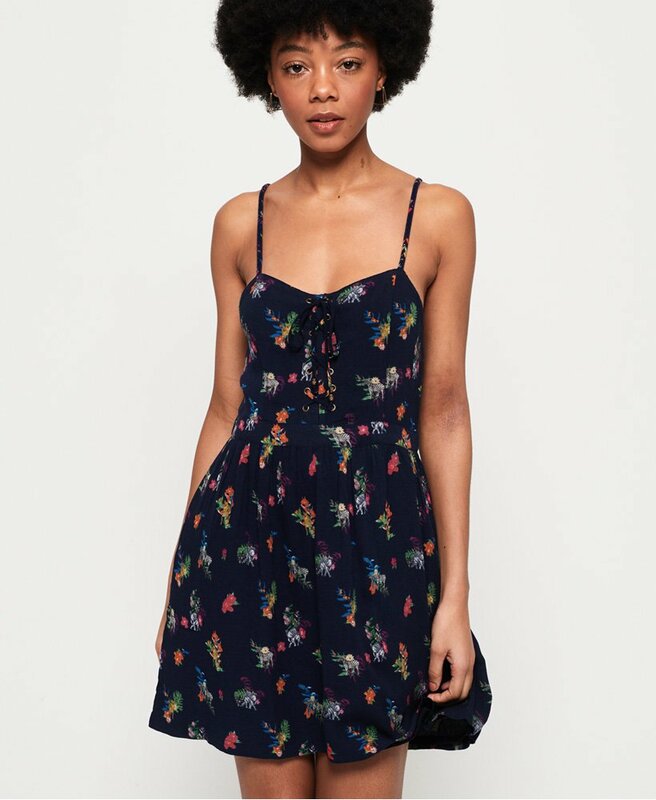 Superdry women's Tamara Carnival dress. Welcome the Tamara Carnival dress into your wardrobe this season, featuring an all over embroidered pattern, adjustable straps, back zip fastening and lace detailing on the front. This dress also features side seam pockets and is finished with a metal Superdry logo badge above the hem.